Today’s post comes to you from a field somewhere near Southampton by the wonders of modern technology! We have been celebrating our friend Karen’s birthday whilst camping at the latest round of the National Hovercraft Championships. Check out www.hovercraft.org for more details! 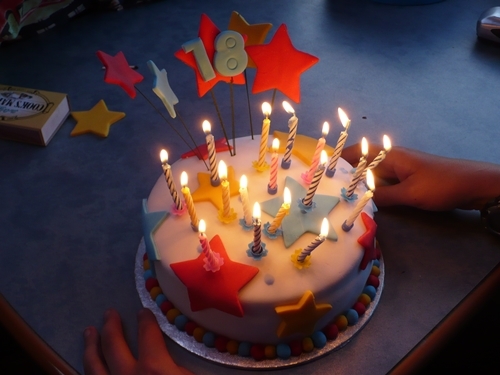 Anyhoo down to Important Stuff… such as the cake. This cake was rather out of my comfort zone. I usually make specific requests for birthdays (most recently Swallows and Amazons racing around Wild Cat Island, I expect I’ll post about it some day when nothing much has happened!) 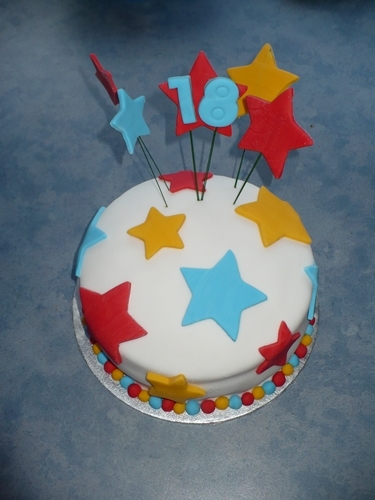 anyway, Karen just wanted a cake, that coupled with only having one evening to bake and decorate lead to experimentation with fondant icing shapes. 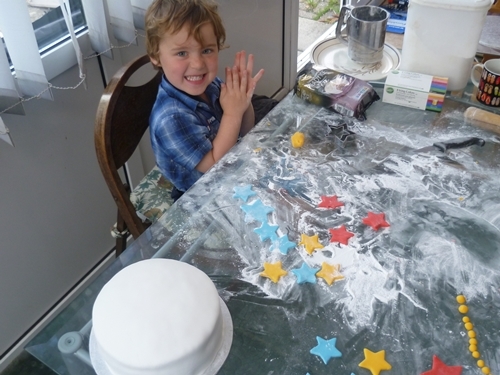 It also turned out to be a great way for Oz to actually help with one of Mummy’s cakes. (and handled the sensory playtime for the day!) 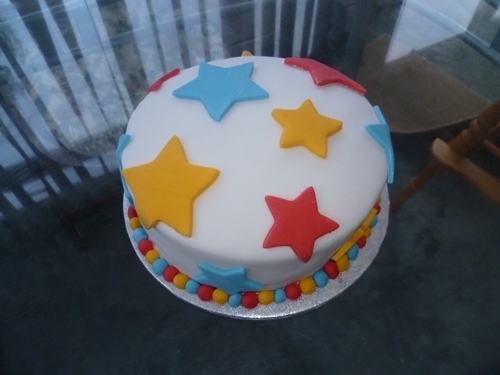 So after I coloured the icing and covered the cake we cut out the stars and rolled up the little balls for the edge together. Here is the cake ready to travel. And here is the finished article assembled on the camper table.